The John C. and Margaret K. White Horticultural Park, a 13-acre private estate in Fairfax County, Virginia, was recently acquired by the Fairfax County Park Authority. 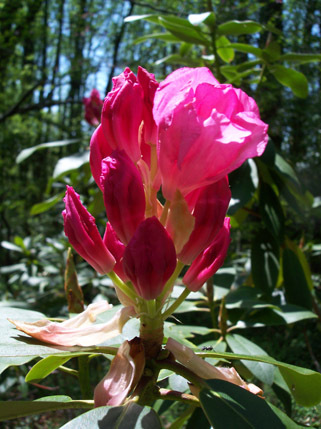 Containing extensive collections of rhododendron, camillia, and perennials, the White Family property is an important local cultural and horticultural landscape valued by the community and provides much needed open space in a heavily developed region. 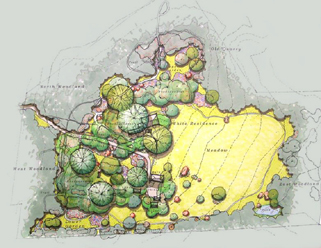 This project involved an inventory and analysis of the park’s horticultural resources and development of landscape management and design recommendations for adapting this private site and its associated residential structures to new public educational and recreational uses. An extensive Geographic Information Systems (GIS) database of all natural and horticultural resources was also prepared to extend the park’s landscape management capabilities. Prime Consultant: John Milner Associates, Inc.
All Contents Copyright ©2009 Heritage Strategies, LLC.